Airspeed is a value which may be of importance in many areas. The focus here is above all on values in a ventilation duct, but it may also make sense to carry out an airspeed measurement inside rooms. The use of an anemometer is helpful here. The anemometer is also referred to as a wind speed meter. However, it is not just a case of using it to measure wind speed, it can also record the volume flow. Many anemometers therefore have an integrated flow meter. The air flow velocity and the volume flow inside rooms have an influence on the indoor air quality. Regular measurement is all the more important, because influencing factors are involved here which are in most cases impossible to detect at first sight. For flow and temperature measurements in ventialtion ducts. The measurement of wind speed is not just an interesting factor in the outdoors in terms of finding out more about the ambient conditions. The wind speed meter is now also more and more frequently used indoors. In this context, it is referred to as a thermal anemometer. The vane anemometer is very commonly used in this area. This instrument has a probe head which can be employed to measure the airspeed and volume flow. Temperatures of up to 140°C can occur with a model that is suitable for the measurement of high temperatures and the anemometer will continue to carry out accurate measurements. 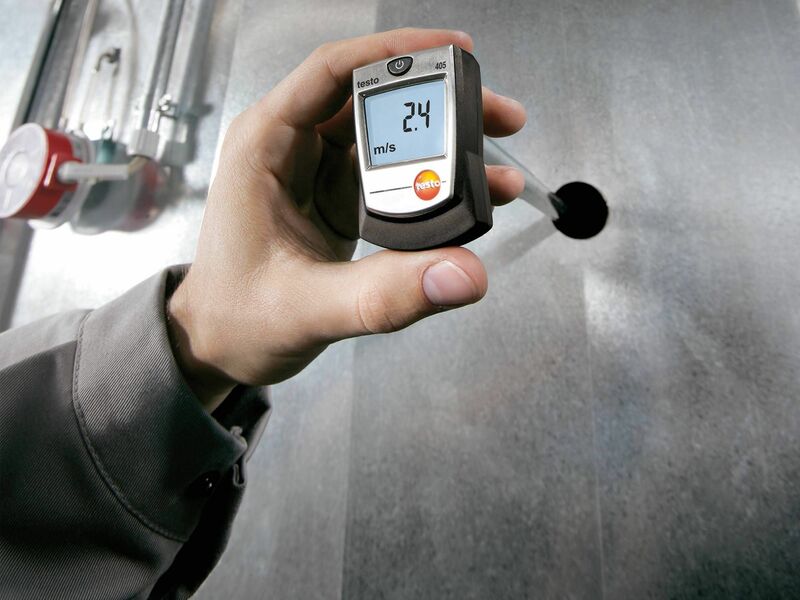 Some of the instruments which you can purchase from Testo have a permanently installed probe for flow measurement. These instruments are for instance used to enable a function test to be performed on ventilation and air conditioning systems. Flow velocities develop in a ventilation duct. Checking these flow velocities is an important factor in terms of testing whether there may possibly be a negative influence on the indoor air quality. Measurement of the flow velocity using a thermal anemometer also enables calculation of the volume flow. 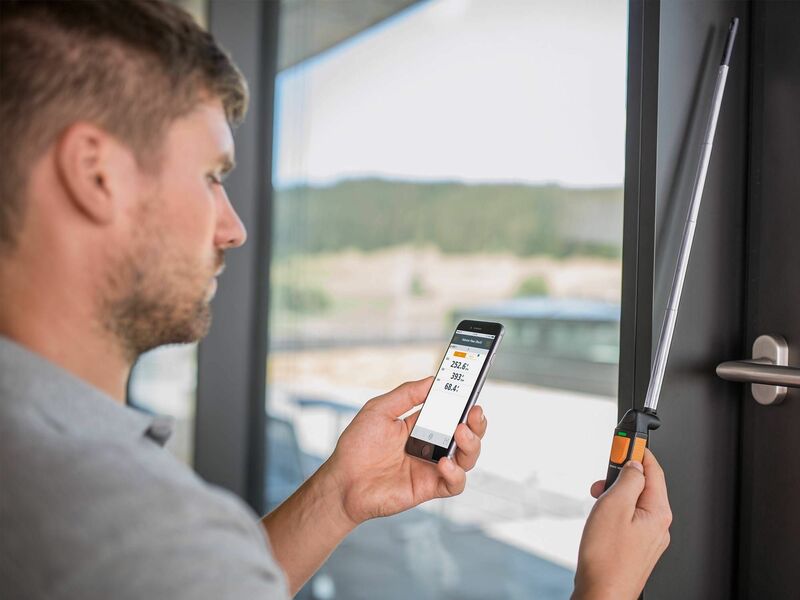 Wind measurement is for instance carried out with an anemometer inside rooms when there are uncertainties about the air flows and air temperature. The reasons for this may be structural defects or also leaky windows. In some cases, the flows are so small that they cannot always be identified immediately. However, they can be quickly detected by using an instrument as sensitive as the anemometer. Nowadays, it may be particularly helpful to use an anemometer which also has a smartphone connection. This makes analysis and reception of the values considerably easier. 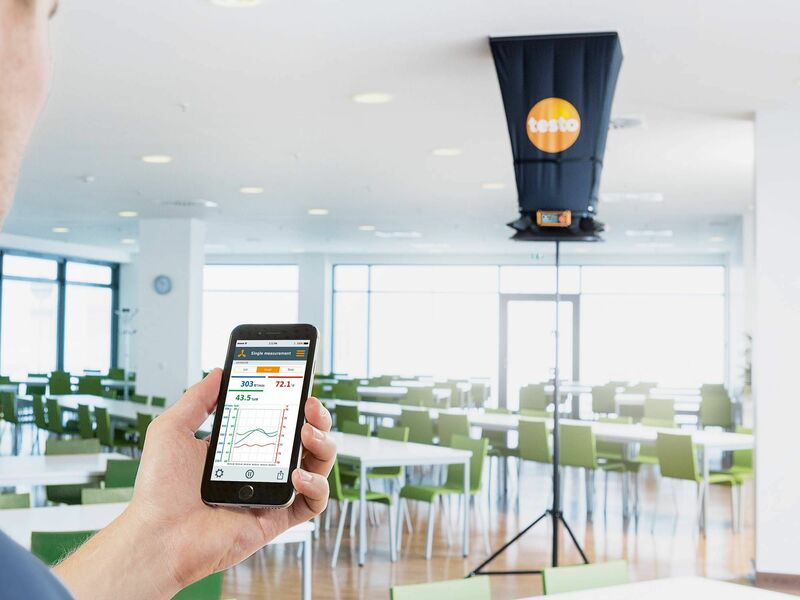 You can order a thermo anemometer with smartphone operation from Testo. The model is able to measure volume flows and temperatures, as well as airspeed. The measuring values themselves are then sent to an App. This enables you to obtain the values directly and analyze them, as well as comparing them to other measurements. 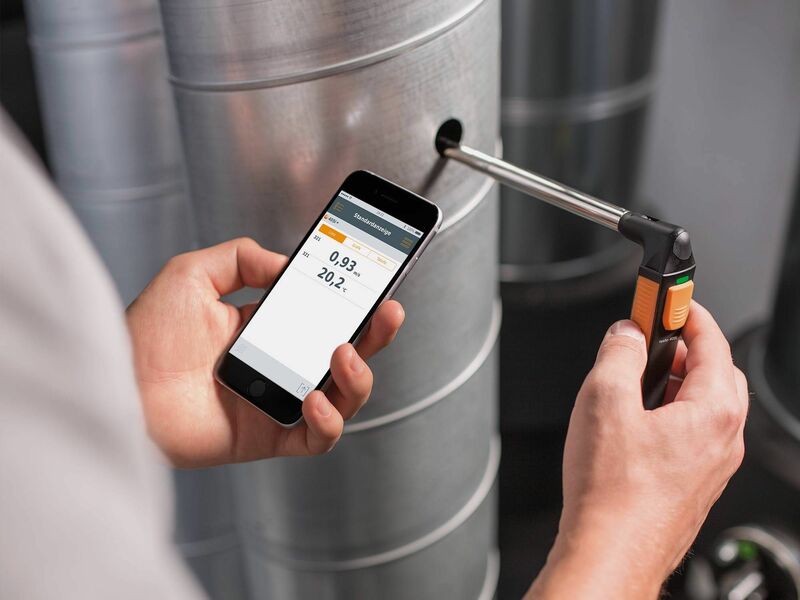 A flow meter or a wind speed meter that has a connection to a smartphone also ensures that it is easier to carry out measurements in ventilation ducts in particular. The Apps which are available for the instruments are also very easy to use and have an intuitive user interface. 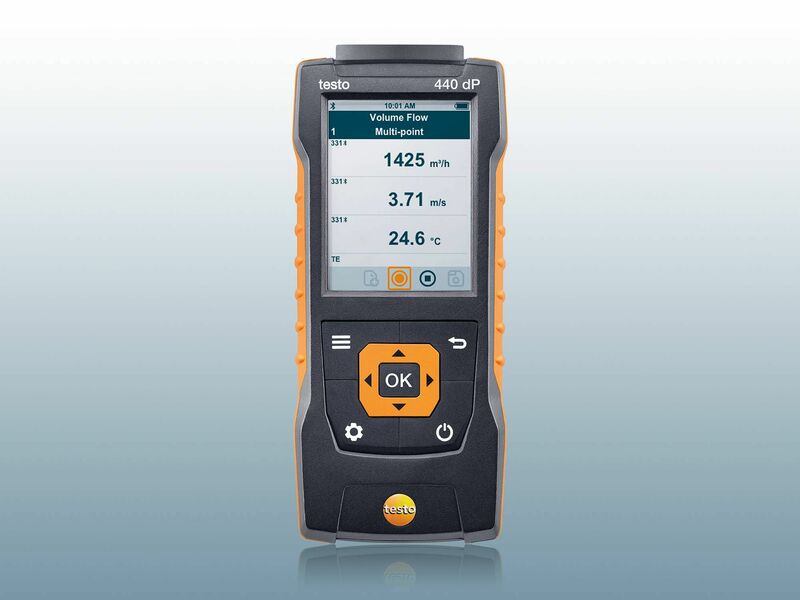 If you want to buy a wind speed meter, you will find a selection of different models at Testo. Classic anemometers for the measurement of air flows are also included, along with pure flow meters or combination instruments, which can also be used to measure temperatures. 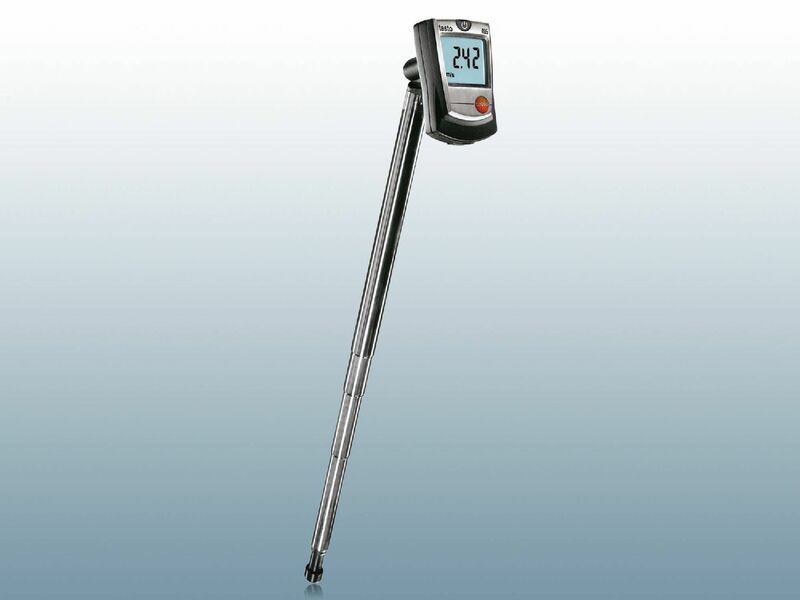 The thermo anemometer has a variety of fields of application. They benefit from easy handling and fast transmission of values. If you would like even easier analysis, you can also decide on a model with a smartphone connection. Wind measurement can be carried out using a variety of instruments. The volume flow hood is also one of these. However, this instrument is designed primarily to enable readout of the volume flow. It was developed for use at ceiling outlets and can carry out precise measurements. It is easy and convenient to operate. It is possible to create a report with the help of an App. In addition to volume flow, it also measures relative humidity and temperature. 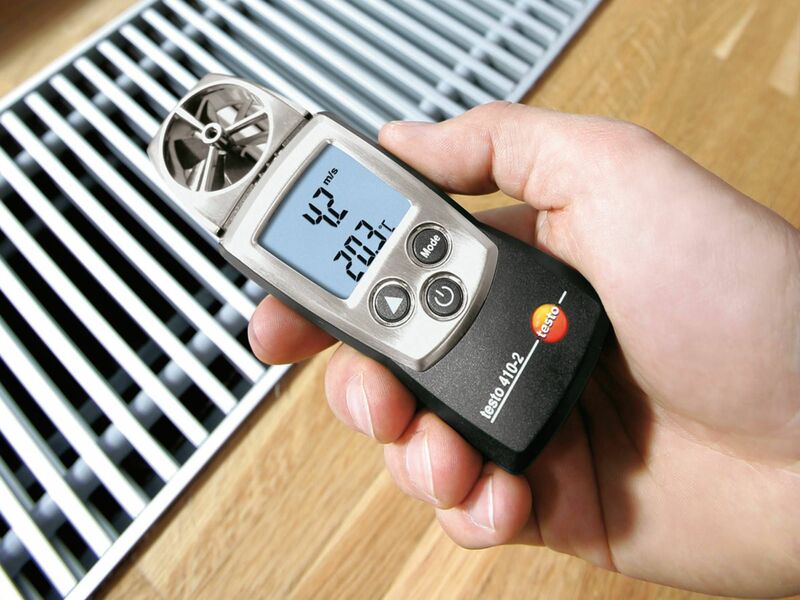 Efficient results can therefore be achieved in combination with a wind speed meter, which deals with air flows. It is once again interesting to look at the vane anemometer as a flow meter and as a measuring instrument for airspeed. 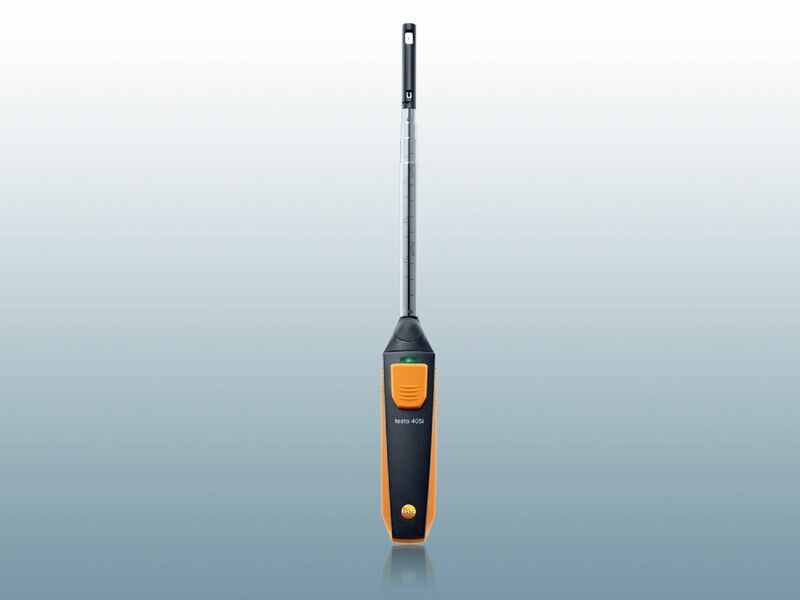 This instrument is also ideally suited for wind measurement outdoors. 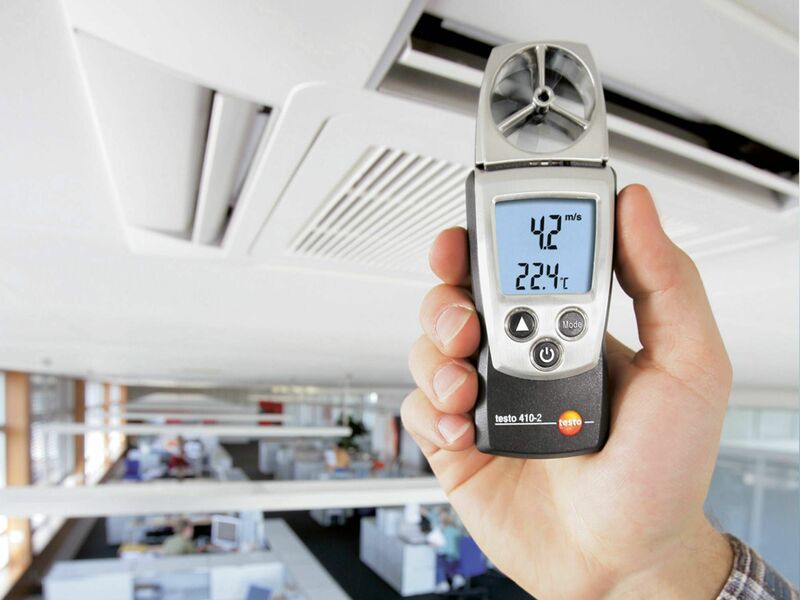 Testo therefore offers designs which enable you to carry out measurements quickly and easily on ventilation grilles. Here, you also get the option of measuring the air temperature and airspeeds as well. The calculation of different parameters is offered. This can also be done simply at the touch of a button on the wind meter.